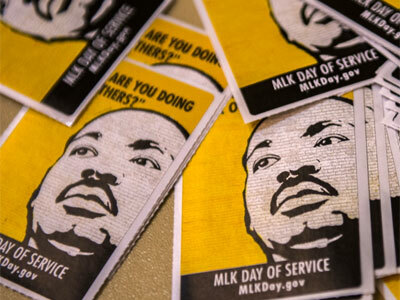 NIU will host several events in recognition of MLK Celebration Week, which begins Monday, Jan. 18. 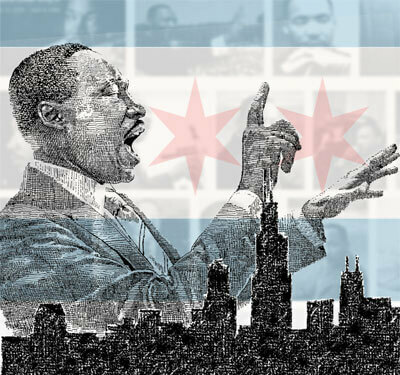 This year’s theme is “The Fight for Social Justice: A 1000-Mile Journey,” inspired by Dr. Martin Luther King Jr.’s 1966 trip to Chicago, where his protest of housing segregation led to a march of about 700 people in Marquette Park. The Rev. Dr. Martin Luther King, Jr. Steering Committee, in collaboration with the DeKalb Public Library and Black Male Initiative, will hold a service project Monday, Jan 18, as part of the inaugural event of the MLK Celebration Week and the grand opening of the new addition to the old library. 10 a.m. to 2 p.m. book readings to the younger children. 11 a.m. to 1 p.m. arts and crafts for children of all ages. an 11 a.m. panel discussion where leaders from various faith organizations will explore peace and inclusion as envisioned by Dr. King. Events will be held at the DeKalb Public Library, 309 Oak St.
UPDATE: The Martin Luther King concert planned Jan. 18 has been canceled. The march begins at 6 p.m. Tuesday, Jan. 19, at the Stevenson Towers residence halls and ends at the MLK Memorial Commons. Hot chocolate will be served afterward. Students then will lead a 7 p.m. Think Tank called “Justice or Else,” which will focus on social activism and the 20th anniversary of the Million Man March. Students will host a discussion on they can apply social justice at NIU and in the DeKalb community. The Think Tank takes place in the Duke Ellington Ballroom of the Holmes Student Center. In service to Huskies who are in need, members of the NIU and DeKalb County communities are asked to donate canned and other nonperishable food items to the Huskies Student Food Pantry. Drop off items from 9 a.m. to 5 p.m. Wednesday, Jan. 20, at Grace Place Campus Ministry, 401 Normal Road. Students from various organizations will participate in a friendly oratorical competition at 7 p.m. Thursday, Jan. 21. The purpose of the competition in the Duke Ellington Ballroom is to remind society of the importance of Dr. King’s words and his commitment to equality. Students will recite speeches, poetry and prose from the vast repertoire of Dr. King’s collection as well as their own original works. Top performers will be awarded scholarships. The Presidential Breakfast & Awards Ceremony, which begins at 9 a.m. Friday, Jan. 22, will reflect on the importance of inclusion and diversity, community service, civic reflection and social justice for all. Dorothy Wright Tillman will be the keynote speaker. Sarah Cheatham of Chicago will provide words of reflection. Awards for Outstanding Community Service, Communiversity Leadership and P.E.A.C.E. will be presented. The event, which will take place in the Duke Ellington Ballroom, is free and open to the public. For more information, call (815) 753-1709 or email CenterBlackStudies@niu.edu.